If you are looking to expand your travels to an undiscovered destination in Italy, be sure to read this New York Times’ piece on Francis Ford Coppola’s Palazzo Margherita in Bernalda, in the Basilicata region of Italy. Basilicata is just above the arch of the boot, with moutainous terrain that has made communications difficult until modern times. Basilicata has been one of Italy’s least developed provinces. This is a region for true travelers as it possesses few resorts and fine accommodations. The cooking of Basilicata is bold and vibrant with outstanding produce, tasty cheeses, a wonderful variety of fresh and dried pastas—and outstanding cured meats. Visit the Italian Tourism web site for more on this fascinating region. From Basilicata, we have Bochicchio, with a new shipment coming soon! The most popular blog post this week. The Cefalu photo is a favorite! Phil Noto called from Sicily today to provide an update on the harvest at Santisi. 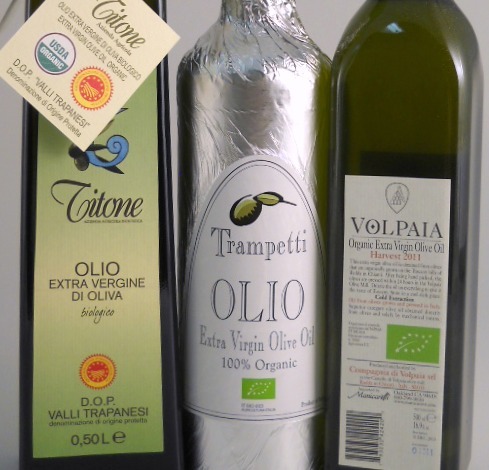 It’s a very good year, with a plentiful harvest and an exceptional quality olive oil. The oil is sweet to the palate, and yet, the novello is very peppery, as it should be! Santisi is crafted from Sant’Agatese olives are grown in the province of Messina. 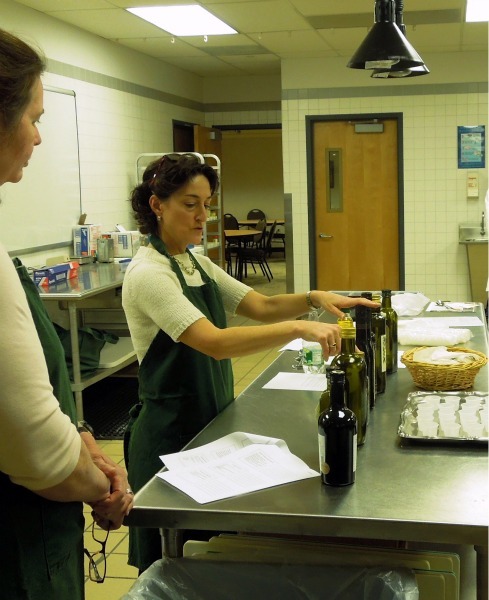 Over a dozen years ago, Francena captured the recipes she learned at her grandmother’s side and recorded them as a gift to future generations. Since that time, this charming and folksy cookbook has sold 10,000 copies. Filled with family photos from the 1950s, you might think Francena was related to the Godfather—or my extended family. 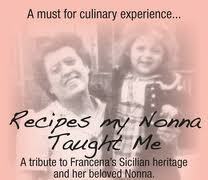 Written for the love of food and tradition, Francena’s recipes for Stuffed Mushrooms, Chicken Parmesan, or Breaded Veal will take you back to your own Nonna’s kitchen. This will remind you of those wonderful church and community cookbooks. It’s a family treasury of Francena’s family favorites. Perhaps your grandmother made braciole (with beef) in January, as mind did, or Cucuzza (fried zucchini) in August. These are not difficult recipes. These are friendly and achievable! You won’t find the Braided Easter Egg Bread, Panettone for Christmas, or Polenta for any season. This is a classic Italian family cookbook with recipes from the mid-century, packed with family heritage, and filled with such recipes as Frittata, Eggplant Parmesan, Manicotti, and Baked Ziti. Each recipe page includes a beverage recommendation, usually wine, among them such as Merlot, Pino Grigio, Sangiovese, and Asti Spumanti! Enjoy this tribute to a grandmother to as Francena has recorded for future generations. 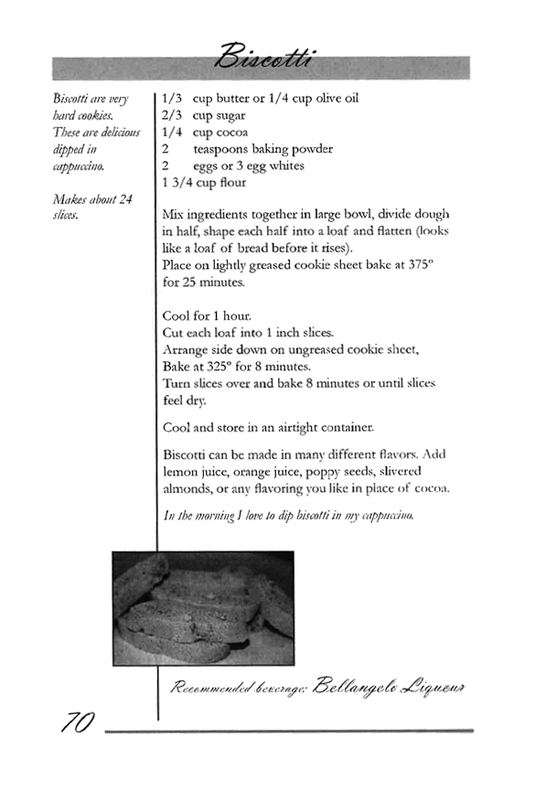 We have been granted permission to share Francena’s Biscotti recipe with you. You can click on the recipe image and print the recipe. You can purchase the book for $12.95 including postage and shipping (cash, check, or money order). Please contact Francena at this link.